– Statement from Russian whistleblowers Yuliya Stepanova and Vitaly Stepanov making some good points and criticizing the IOC for completely botching their Rio 2016 decision by letting Russia in, but banning Stepanova. What is everyone' thoughts on athletes like Sarah Attar (245 800m runner at last Olympics)competing in the Olympics? 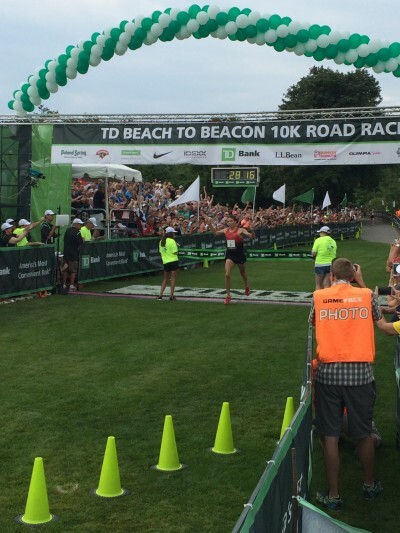 LRC Maine Native Ben True (28:17) Becomes First American To Win TD Beach To Beacon 10K; Mary Keitany Blasts 30:45 Course Record After Olympic Snub True and Keitany were frustrated to be left off their respective Olympic teams and both athletes responded by earning historic wins in Cape Elizabeth, Maine on Saturday morning. True led a U.S. 1-2 as Dathan Ritzenhein (28:27) was second with sub-27:00 Kenyan William Malel Sitonik (28:31) third in his road race debut. Emily Sisson (32:20) was the top American woman in fourth. *MB: Ben MF True 1 and Ritz 2 at Beach 2 Beacon. 1st American win ever. 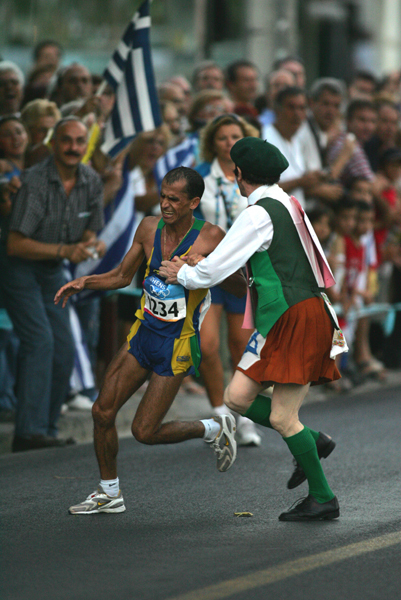 Brazil’s Former Marathon Bronze Medalist Vanderlei De Lima Lights Olympic Cauldron De Lima was famously tackled by an Irish priest while leading the Athens 2004 marathon, but recovered to hold on to bronze. Usain Bolt Skipped Opening Ceremony Because He Was Feeling “Too Lazy” However, some have speculated that it’s also because of how frequently he is mobbed for selfies by his fellow Olympians. The Telegraph: “As Postcards From A Host Went, This Was Hard To Beat” The Rio Opening Ceremony has been lauded for being an “analogue ceremony in a digital world,” avoiding the extravagance of past Olympics without coming up short. Supermodel Wife Of Tom Brady, Gisele Bundchen, Does Long Catwalk At Opening Ceremony Her appearance was a simple 500m catwalk, but reports have said it was originally supposed to be something much stranger and potentially controversial. USA Today: “Who says you need to spend $100 million to put on an opening ceremony?” Apparently Russia received the “harshest” reception as boos could be heard when they were announced. 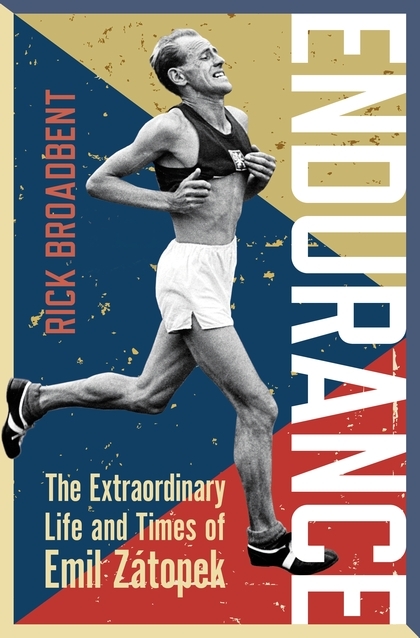 Endurance is one of three Zátopek biographies that were released this summer (Today We Die A Little! by Richard Askwith and Quicksilver by Pat Butcher - which we have not reviewed yet - are the others). This one's worth a read as it offers insight into not just Zátopek's life, but those of rivals Alain Mimoun, Gordon Pirie and Jim Peters as well as Zátopek's former coach Jan Haluza and his brutal treatment at the hands of Czechoslovakia's communist regime. Usain Bolt Moves Into Olympic Village, But Maintains Low Profile And yet many Americans will think staying in the village will hurt their performance and opt for hotels instead. Who Would Win In A “Super Race” At 400m Between Usain Bolt And David Rudisha? Injured Jamaicans Janieve Russell And Elaine Thompson both Do Well In Training In Brazil Thompson is #1 in the world in the 100m and Russell is #3 in the 400H. Jamaican Coach Says There’s No Way World Jr. 400H Champ Jaheel Hyde Can Fail In Rio If he bombs out in the first round, he gains experience and if he medals, then it’s amazing. 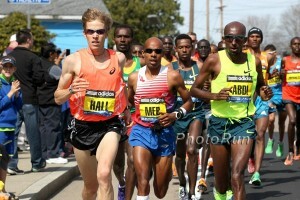 Good Read: Outside Magazine Q&A With Meb Keflezighi Ahead Of Rio Meb says a key to staying injury free is doing “prehab instead of rehab”, talks about his goals and outlook for Rio and when he plans to finally hang ’em up. Jenny Simpson Video Interview With Carrie Tollefson Asked about her rivalry with Shannon Rowbury, Simpson talks about how having to go up against Sally Kipyego in college made her a lot better. 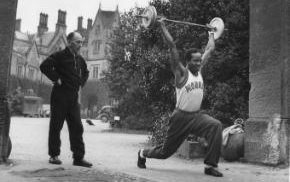 Recommended Read: Back At The 1952 Olympics, The Soviet Union Tried To Get Star British Sprinter Emmanuel McDonald Bailey To Defect A man posing as a Russian journalist took Bailey out to dinner and went as far to sneak into his Olympic village room with vodka and caviar. The Oregonian: 40 Track Athletes With Oregon / Washington Ties Will Compete In Rio Devon Allen starts off their list. USA Today Headline: “Plenty Of Action At Rio Olympics, Which Is Why There Are 450,000 Condoms” That works out to 42 condoms per athlete. But they don’t just give them out. Athletes have to go to free public vending machines which are apparently very loud. Baseball Will Return To The Olympics But It’s Unlikely The Best Athletes Will Actually Compete If you think Olympic golf is a joke, consider the MLB would actually have to “stop their activity” during the Olympics to have the pros compete in Tokyo. 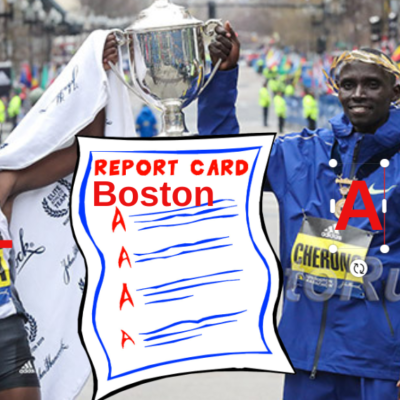 Saturday: Great Fields Set For Beach To Beacon 10K: Ben True, Dathan Ritzenhein, Former Marathon WR Holder Patrick Makau And Mary Keitany Headline Men’s race also has Sam Chelanga, Abdi Abdirahman and Eric Jenkins while Keitany faces defending champ Wude Ayalew, Joyce Chepkirui, Aliphine Tuliamuk, Sara Hall and Jordan Hasay. 10-Year-Old Homeless Girl Wins 3,000m Gold At Junior Olympics Rainn Sheppard lives in a homeless shelter with her mother and two sisters and got a nice surprise when a NY philanthropist paid for her mother to fly to the meet in Houston. 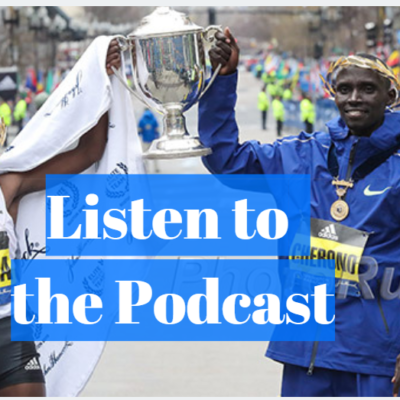 World Half Champ Peres Jepchirchir Will Make Her Marathon Debut At Frankfurt This Fall Former Paris Marathon winner (2:05:49) Mark Korir was announced for the men’s race. 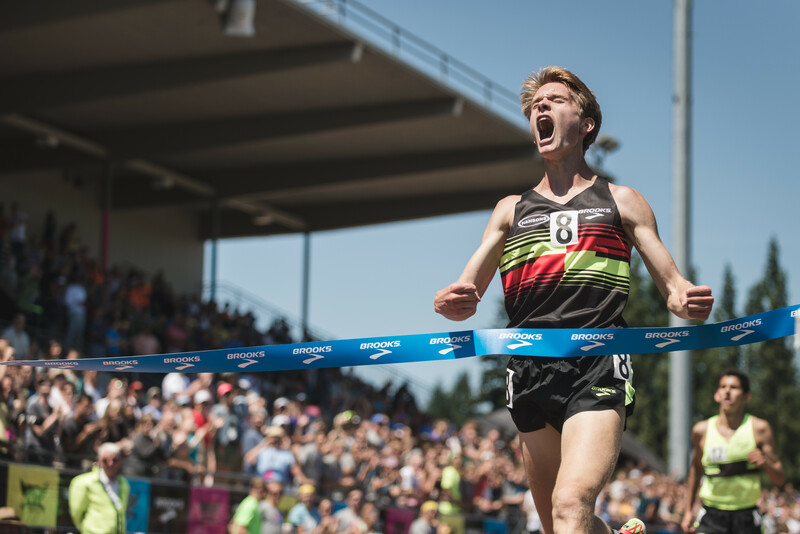 Our man on the ground in Kenya, Andy Arnold, was granted exclusive access to Kwemoi last week as the ninth-fastest man of all time (3:28.81 PR) prepares for his first Olympics. 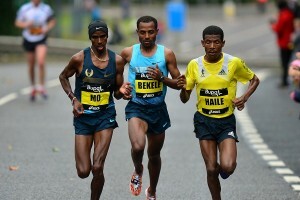 His coach, Renato Canova, would not be surprised if the 20-year-old Kwemoi, who beat Kiprop and several of the world's top milers in Monaco on July 15, one day breaks the world records at 1,500 or 5,000 meters. The Orange County Register: “Caster Semenya’s Olympic Dream A Topic Of Controversy” A lot of strong pro-Semenya words from “bioethics” and gender specialists, but the scientists are who we side with on this one. With Sally Pearson Injured, Long Jumper Fabrice Lapierre Is One Of Australia’s Best Gold Medal Hopes In Rio Lapierre’s career has benefited greatly since he moved to coaching genius Dan Pfaff, as he took silver in Beijing and Portland World Champs over the last year. First Impressions Q&A With Erik Kynard Kynard says his first sporting idol was Michael Jordan and his sister crashed his first car. Genzebe Dibaba And Other Jama Aden Athletes Will Compete In Rio Without Their Coach (translated) Apparently none of Aden’s athletes tested positive after the hotel raid, but Aden is still being investigated and hasn’t got back his passport. Marathon Battle Awaits Kenya In Rio Jeminma Sumgong, Visiline Jepkesho and Helah Kiprop will try to win Kenya’s first women’s Olympic marathon gold. 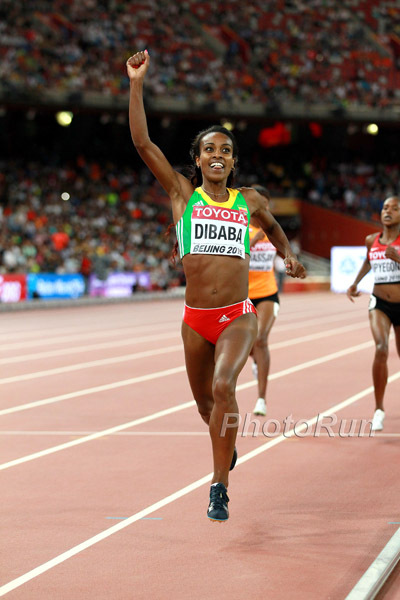 Tirunesh Dibaba Looking To Become The First Athlete To Win Three Olympic 10,000m Gold Medals Nothing new here, but some background on Dibaba’s career if you haven’t read it all before. Recommended Read: After Two Tragic Deaths, Family And Community Helped Single Mom Joanna Kovacs Raise An Olympian Joe Kovacs and his mother went through “hard times” when his father and grandmother passed away at the same time when he was 8 years old. RR #2: Washington Post: How A US Discus Thrower’s “Freshman 15” Turned Into More Than 100 Pounds To make the Olympics, the 437-pound Mason Finley had to completely change his lifestyle, studying nutrition and losing a ton of weight. 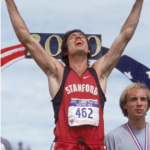 Wall Street Journal: Brooks Went Undercover To Slam Rule 40 Turns out that Brooks is behind the anti-Rule 40 campaign, which has included a website, T-shirts and a flatbed billboard truck driving around Eugene during the Trials. Interesting: Study Calls Olympic Sponsorship Into Question As Ambush Marketers Have High Success Ahead Of Rio 2016 The study found that ambush marketers occupy 9 of the top 15 spots as far as brand affiliation with the Games. Nike is #2 on the list even though they aren’t an official Olympic sponsor. Protesters Promise Demonstrations On Day Of Rio 2016 Opening Ceremony As Brazilian Politics “Descend Into Chaos” They are protesting against the spending required for Brazil to host the Games. Police Take Over Rio 2016 Venue Security After Private Firm Sacked Just Ahead Of Opening Ceremonies The private firm was fired for “incompetence and irresponsibility” as they were only able to hire 500 of the 3,400 staff required to screen visitors outside of venues. 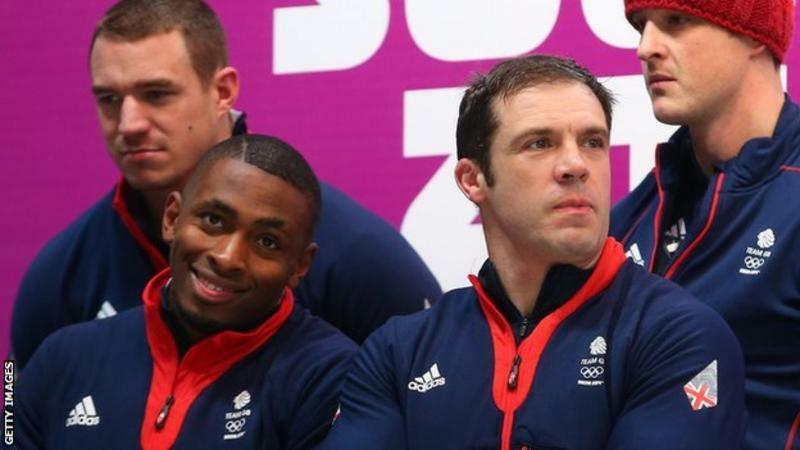 UK Bobsledder Joel Fearon Runs 9.96 To Tie For The Third-Fastest Brit Of All-Time Fearon won’t be on GB’s Olympic team and actually says his focus is bobsledding and the Winter Games. Before this year, his PR was 10.10 from 2013. LaShawn Merritt Is Dreaming About Triple Gold In Rio In The 400, 200 And 4 X 400 Merritt says that he needs to thank Allyson Felix for getting the schedule changed to make the 200/400 double possible and even at 34 years old, thinks he’ll definitely still be going in 2020. Despite The Current Trend And His Impressive Season, Michael Norman Says As Of Now, He’s Still Not Going Pro And Will Be Running For USC Norman doesn’t know whether he’ll be a 100/200 or 200/400 guy moving forward. One Family Will Have Three Olympic Hurdlers In Rio Jeff Porter, his wife Tiffany Porter and her sister Cindy Ofili all train together in Detroit. After Overcoming Adversity To Make Olympic Team, Nia Ali Is Dreaming Of One-Upping Her World Indoor Gold With An Olympic Version Ali went through a tough time while in college after her father killed himself in a murder-suicide. US 100 Runner Morolake Akinosun Tweeted That She’d Be On This Olympic Team 5 Years Ago When She Was Just 17 Akinosun finished 4th at the Trials to earn a spot on the 4 x 100 relay pool. 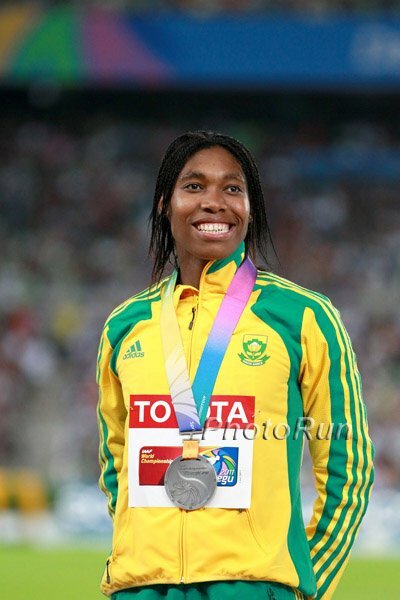 Caster Semenya Ditches Rio 400 To Focus On 800 Well, that’s one less race that will be a complete farce in Rio. Long Jumper Ivana Spanovic Hoping To Win Serbia’s First Olympic Track Medal Ever She won Euros and 3 out of 4 Diamond League meets she competed in this year. However, she lost at Pre and World Indoors to Brittney Reese. Aussie Team Captain Jared Tallent Pulls Out Of Rio 20K Racewalk With Hamstring Problem Tallent will still compete in the 50K racewalk, which is his main focus. Jessica Ennis-Hill’s Coach Toni Minichiello Denied Chance To See Her On Rio Podium Minichiello is angry as UKA booked his flight home during the heptathlon medal ceremony. Who Will Light The Flame? Soccer Legend Pele Says He’s Not Physically Able To Attend Opening Ceremony – So Who Will Light The Torch? Bowerman Track Club’s Betsy Saina Wants A Medal In Rio Good luck with Ayana, Cheruiyot and Dibaba. Medal Predictions For Kenya In Rio 4 golds, 6 silver and 7 bronze is the prediction. Good Read A Look At How Much Every Olympic Sport Gets From The USOC Track and field is #1 for the summer Olympics at $60.9 million received from 1999-2015. Alan Abrahamson Criticizes President Obama For Politicizing The Olympics And Not Standing Up For Gays In Brazil Abrahamson, who thinks Obama is one of the greatest presidents in US history, is critical that the US made a big deal of how gays were treated in Russia but has said nothing about Brazil which is the deadliest place in the world for gays. T&F Collegians At The 2016 Rio Olympics By The Numbers 89 US collegians from 54 US programs will be in Rio. The schools producing the most Olympians are Georgia and Texas A&M (6). Arkansas and Texas (5) and Florida State (4) aren’t too far behind. Catching Up With 100H Favorite Brianna Rollins 2014 and 2015 weren’t great for Rollins, who thinks God was humbling her. 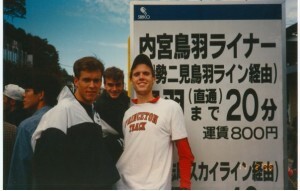 LRC Goes To Kenya A Legacy Lives On: A Look At The Search For Kenyan Talent At The Aloha Zane Branson Memorial 15K The late Zane Branson was so much more than an agent to some of East Africa’s top runners. In his latest piece, Andy Arnold travels to the western Kenya to visit the race that now bears Branson’s name and tells how Zane’s messages of family and teamwork live on. Female Archer Shehzan Anwar To Lead Team Kenya In Opening Ceremnyn. Former NCAA Champ Genevieve LaCaze Is Focused On Making Final In Rio, Not Hijacking Opening Or Closing Ceremonies She famously highjacked Kylie Minogue‘s closing ceremonies at the CGs in 2014. Greek Lawyer Unknowingly Qualified For Olympic Marathon He only ran 2:29 but found out he’d made the Team because if you are top 10 at IAAF gold race, it counts for the standard. 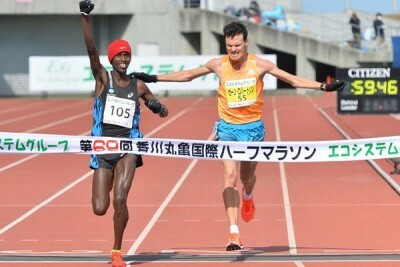 More News From Japan: A Look At The Highlights From Japan’s National High School Championships From a 2:04 girls 800 to an 8:46 boys steeple, JRN has you covered. Recommended Read: Saudi Arabia Will Have Two Runners Competing In Rio As Sarah Attar Returns After Making History At London 2012 Attar finished dead last in her 800 heat in London, but she had a huge impact on Saudi Arabian women. Now, Attar has gone all-out with training for the marathon, moving to Mammoth Lakes to be coached by and train with the Kastors. Good Read: Mo Farah Documentary Airs Tonight On BBC At 4PM ET: Farah Talks About His Past, Family And Alberto Salazar Drug Allegations Farah says it’s tough being away from his kids “seven months of the year” and doesn’t know if he’ll ever move back to the UK even when he retires. Zane Robertson Discusses Death Threats And Doping In Kenya The Robertson twins now spend most of their time in Ethiopia as they don’t feel safe in Kenya. Zane says he’s “seen terrible things” and tipped off authorities on what he knows. Former Marathon WR Holder Tegla Loroupe Leads Refugee Olympic Team To Rio Of the 10 team members, 6 will compete in track and field. *RR From The Spring: “Refugee Runners: Olympics Fields Its First Team Without A Country” Meet some of the distance runners who had to flee war to make it to Rio. Four Years Wiser, World Silver Medalist Melissa Bishop Has High Hopes For Rio 4-years-ago Bishop somehow didn’t know she had qualified for the London Olympics until her boyfriend told her. Now she’s shooting for a medal. 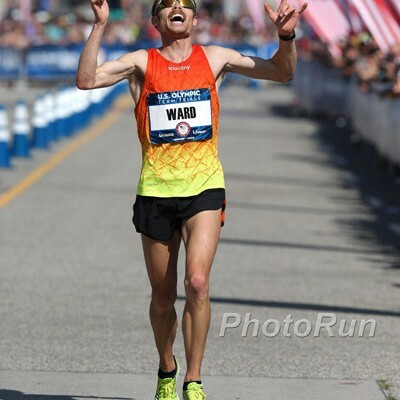 Runner’s Tribe “Road To Rio” Interview With Patrick Tiernan Villanova Tiernan will represent Australia in the Rio 5000. More Jokes: Sailing Federation Reverses Course And Allows Russian Implicated In McLaren Report Into Rio Games It’s almost as if the IOC wants to go out of its way to let more dopers into the Olympics. 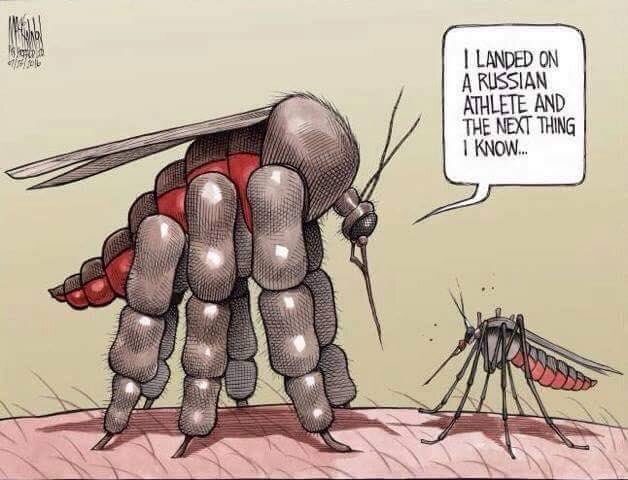 European Governments Side With WADA In Blame Game Over Russian Doping WADA clearly messed up in the past, but at least they, unlike the IOC, wanted to make the right call now. Usain Bolt Says The US Struggles In The 4 X 100 Because “They tend to panic.” Carl Lewis meanwhile campaigns for a coaching changes. We can definitely get behind that. *MB: Why does USATF insist on hiring Dennis Mitchell (who is a convicted doper and on the surface not good at his job) as relays coach? Sydney McLaughlin Might Be An Olympian, But She’s Still Trying To “Be A Regular Teenager” McLaughlin doesn’t yet have her driver’s license and is missing the Rio Opening Ceremony to spend her 17th birthday home with friends and family. Can “American Science” Help Justin Gatlin Defeat Usain Bolt In Rio Gatlin worked with a USATF biomechanist who analyzed his running form and said Gatlin’s start is “half a tenth of a second faster than anybody else on the planet. Allyson Felix’s Quest For History Has Turned Into A Shot At Redemption She won’t get to do the 400/200 double, but she can still try to take home two golds as she’s in the 4 x 400. Jamaican Olympic Team Still Not Set As Some Need To “Prove Their Fitness” Sprinter Elaine Thompson and 400 hurdler Janieve Russell are still question marks for Rio. Recovering Olympic 110H Bronze Medalist Hansle Parchment Leaves Jamaican Training Base, Ruled Out Of Rio Parchment had until August 8th to “prove fitness,” but apparently a miscommunication caused the JAAA to think he was withdrawing. Ajee Wilson Talks To Philly.com Before Leaving For Brazil Aside from chasing a medal, Wilson plans on being a general Olympic fan by watching some other sport events in Rio. Colleen Quigley Launches Her Own Website At ColleenQuigley.org Quigley talks about qualifying for Rio, how she became a runner and giving up her modeling career. Men’s Fitness Q&A With Trey Hardee, Who Failed To Make His 3rd Olympic Team, But Says He Isn’t Retiring Yet Hardee’s favorite decathlon event is the pole vault, says he has to shave before every competition and that The Red Hot Chili Peppers’ “Can’t Stop” is his “all-time adrenaline rev-up pick” song. 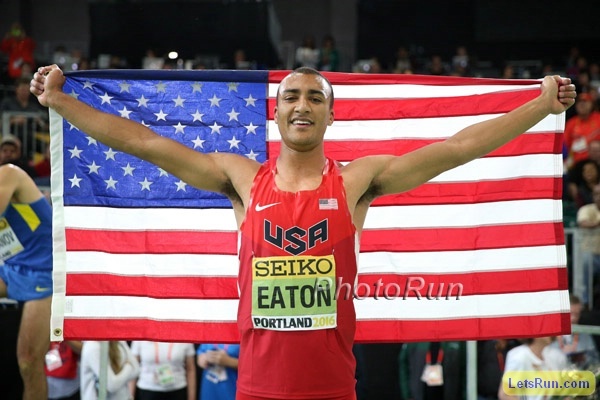 SB Nation: All Ashton Eaton Has Left To Prove Is Just How Dominant He Is Assuming he wins Rio gold, Eaton will be the first since GB’s Daley Thompson in 1980/1984 to win back-to-back Olympic decathlons. WADA President Craig Reedie Defends Release Of McLaren Report ,Saying They Acted “Without Delay” A scary quote is where Reedie admits “it was only when CBS 60 Minutes and the New York Times” published their reports that WADA could investigate. 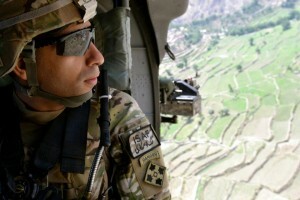 Once again, without the media, none of this would have happened. 13 National Anti-Doping Organizations Accuse IOC Of Putting Politics And Business Ahead Of Clean Sport The anti-doping groups, including USADA, also criticized the IOC for banning Yulia Stepanova. IOC Delay Naming The 98 Athletes Caught In Beijing 2008 And London 2012 Re-Tests Until After Rio 2016 Logistical issues or do they not want more bad publicity? 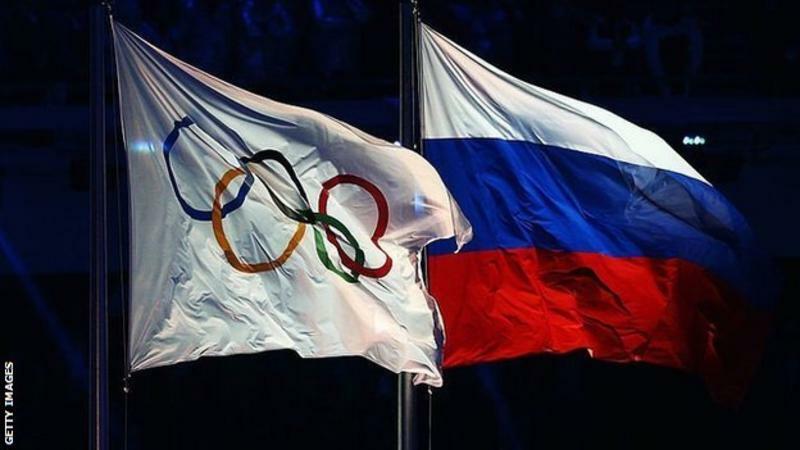 The Guardian’s Sean Ingle: “The IOC Has Failed To Protect Its Honest Athletes” Ingle writes that many will “sneer at the IOC’s pledge of ‘zero tolerance'” after failing to ban Russia. Canadian Corey Bellemore Breaks Beer Mile WR For Second Time In 4 Days With A 4:34 To Win Beer Mile World Classic In London Bellemore runs for the University of Windsor and has PRs of 3:43 and 1:47. 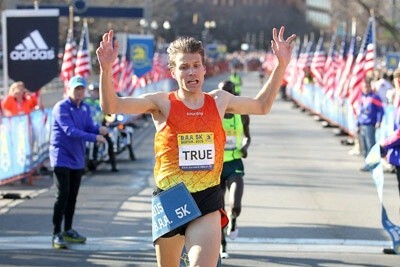 *MB: First overseas beer mile, Corey Bellemore runs 4.34 world record! *Video: Bellemore First Broke The WR 4 Days Earlier With A Solo 4:39 The previous record was 4:47 by Canadian Lewis Kent. Eritrea’s Petro Mamu And Austria’s Andrea Mayr Win WMRA Mountain Running World Cup US’s 2:28 marathoner Annie Bersagel was a surprise 3rd place. 85-Year-Old Ed Whitlock Breaks Age Group 5,000m WR With 24:03 Just hours afterward, Whitlock ran the 6:51 in the 1,500, just missing the WR by less than a second. USA Today: Supporting Their Kids’ Olympic Dreams Lead Some Parents To Shortchange Their Retirement Savings Supporting an aspiring Olympian can be time-consuming and expensive, but often there isn’t much financial return even if the kid actually does make the Olympics. Videos: The Best Olympic Ads Of 2016 A cool Gillette ad featuring Ashton Eaton tops the list. 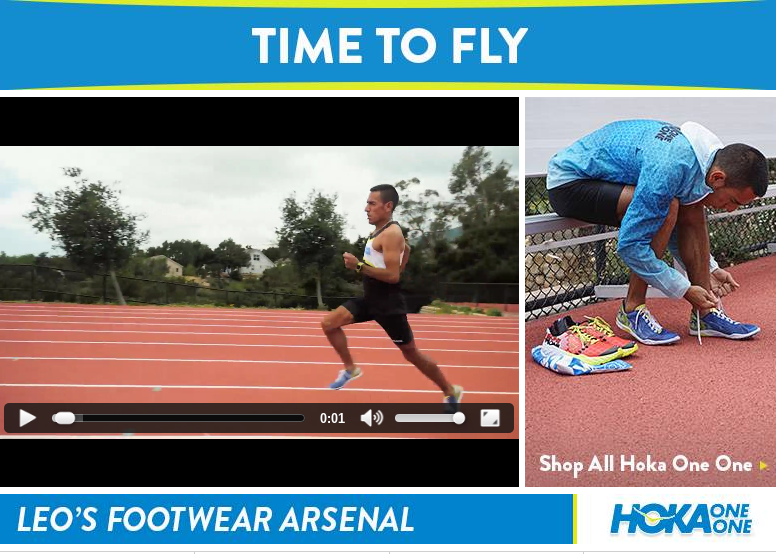 Video: United Airlines’ Team USA Commercial Ashton Eaton features prominently. 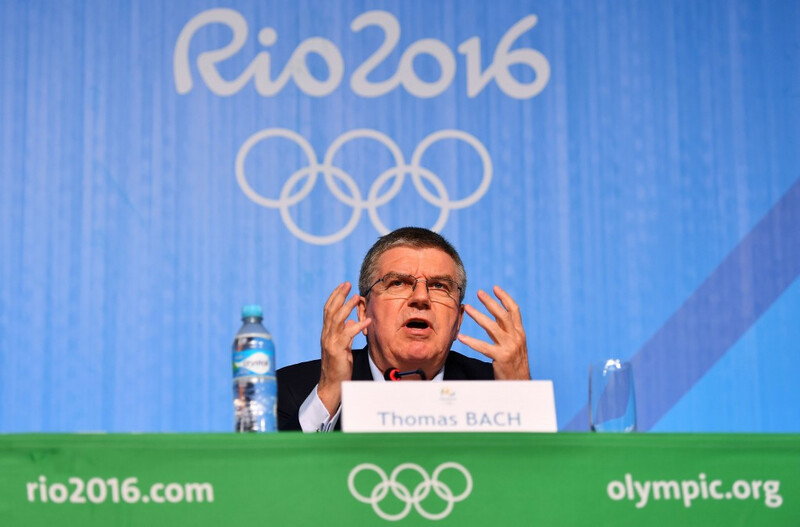 Is The IOC Shooting Itself In The Foot With Rule 40 Threats? 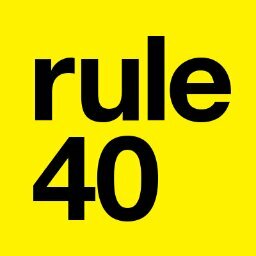 Is Rule 40 enforcement having negative results by limiting Olympic engagement? Goldman Sachs Uses Economic Research To Predict Which Countries Will Win The Most Medals In Rio While their list sounds about right (US and China are 1-2), the methods they used were surprisingly complex. From Ancient Times To Present Day, Bribery Has Been Part Of The Olympic Games Corruption in sports is not a new problem and unfortunately not one we’re close to solving. Australian Laptops And Clothes Stolen From Rio Olympic Village During Fire Evacuation The fire might have been started intentionally as a “scam,” but it was concerning that no fire alarms went off. Greek Athletes Complain Of “Tragic” Conditions In Olympic Village Flooding, gas leaks and a driver that made the water polo team miss practice because he couldn’t find the training center. LRC 2016 TrackTown Summer Series: Colby Alexander (3:34.88) Wins A Fast 1,500, Kate Grace (4:09.92) Keeps Rolling, Melissa Bishop Wins 800 (1:59.74) As Shannon Rowbury Finally Breaks 2:00 updated 3:05 am We break down the action for you at the 1st TrackTown Summer Series meet, which was the last meet held at Hayward Field before the renovations begin. 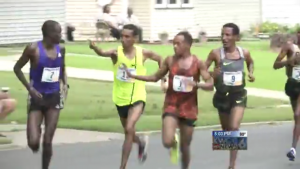 LRC Post-Race Videos Fom 2016 Track Town Summer Series 23 videos. Matt Centrowitz, Kate Grace, Melissa Bishop, David Torrence, Erik Kynard, Brittney Reese, Emma Coburn and a ton more. 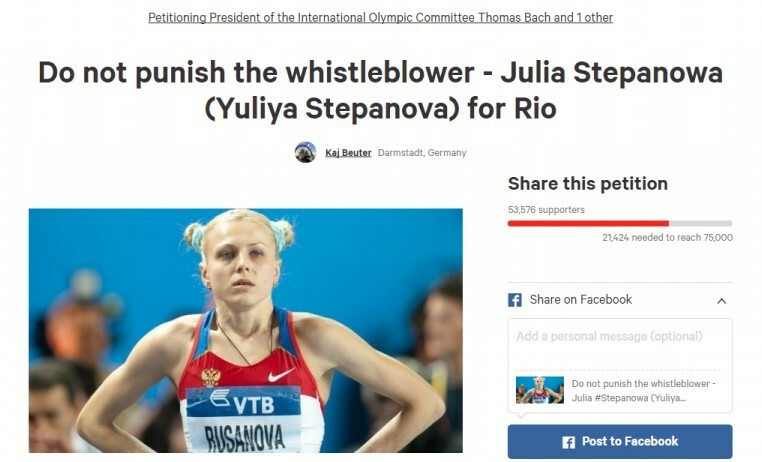 Petition To Get Yulia Stepanova Into Rio Has More Than 70,000 Signatures You can sign it here. *Yulia Stepanova Again Asks IOC TO Review Her Rio Ban The IOC has rejected any review of her case and not even discussed it with its Executive board. Richard McLaren Has Received A “Deluge Of Requests” For Information On Individual Athletes Since His WADA Report McLaren’s mandate has been extended so he can finish the investigation. Russia’s Entire Weightlifting Team Banned From Rio Over “Extremely Shocking” Anti-Doping Record Russia will appeal to CAS over the decision. Asics Say They Will Stop Sponsoring Russian Wrestling If There Are “Any Further Allegations Of Doping” There haven’t been enough already? Russian Ping Pong Players Get A Pass To Rio *Three-Person IOC Executive Board Panel Will Make Final Decisions On Russian Athletes Competing In Rio Basically just a formality to review the athletes already approved by their individual sport federation. 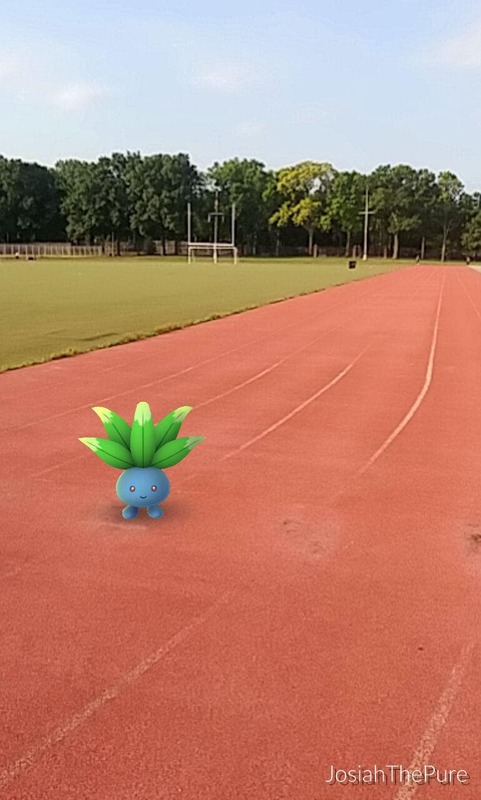 Recreational Runner And Coach Blogs About How He Used Pokemon Go Mobile Game To Motivate Himself In Training Runners will be bummed to know that the app “barely registered half the distance” of his run. *MB: hs coaches: is pokemon go going to be a problem? *MB: Pokemon Go – good idea or bad? Own A Piece Of History: Pieces Of London 2012 Running Track Go On Sale Following Removal From Olympic Stadium You can buy a framed piece (12cm b 7.5cm) for $79 or a larger piece for $99. Would You Break Your Marathon PR If We Offered You $200,000? What About $10,000 To Come Within 30 Seconds Per Mile Of It? 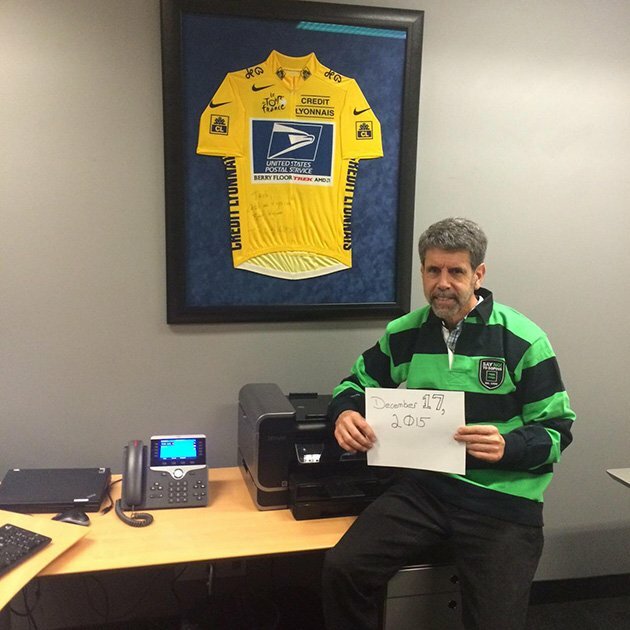 We were so confident that Mike Rossi cheated at the 2014 Lehigh Valley Marathon that we offered him $200,000 to replicate his personal best. 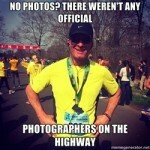 He failed to do so and also failed to claim $10,000 if he could come within even 30 seconds per mile of his alleged marathon best. CAS Rules That IOC Ban On Russians WIth Previous Doping Offences Is “Unenforceable” This supports the “Osaka rule” precedent which established athletes could not be punished twice for the same doping offense. NY Times: “Lest We Forget, The US, Too Spent Time In The Doping Wilderness” Though not at the state-sponsored level of Russia, the US has had more than its fair share of doping scandals where top officials turned a blind eye to US doping. Laura Weightman Hoping To Make 2nd Straight Olympic 1,500 Final She surprised as a 21-year-old in 2012. British Sprinter James Ellington Is Thriving At Age 30 He says it’s cause until age 26, he only trained 3 times a week. Linford Christie: Usain Bolt Is A “Freak Of Athletics” We thought everyone already knew this fact. LRCWTW: Video Proof That Usain Bolt Couldn't Break 5:00 In The Mile, Lots Of Condoms And TV At The Olympics, And Is Colby Alexander > Olympic Trials Champion Gabe Jennings? Legendary York High School Coach Joe Newton To Retire After This Season The 87-year-old Newton has been coaching for the last 60 years and led York to 28 state boys XC titles. Molly Ludlow Shares Her Ideal System To Breaking The 2-Minute Barrier Ludlow has gone sub-2 six times this season with a peak of 1:57.68 in Monaco to move to #7 all-time in the US. Artist Makes Creative Illustrated Versions Of Marathon Maps The collection of cool maps includes NYC, Boston Chicago and the Marine Corps Marathon. 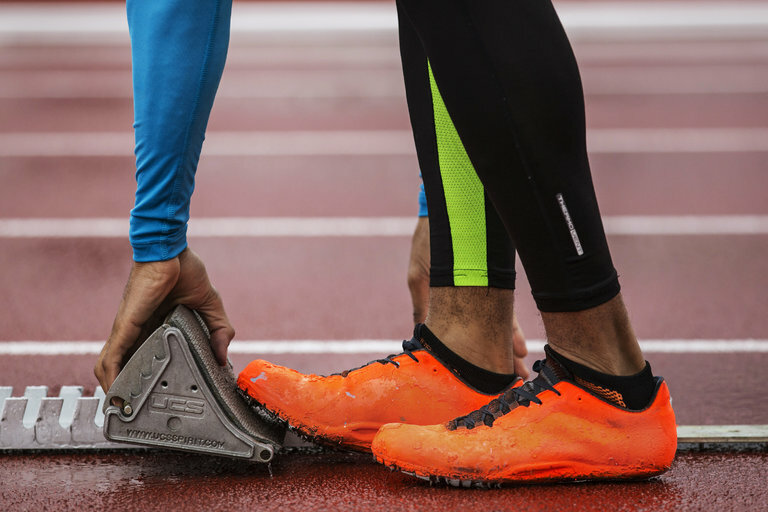 Interesting Read: NY Times’ Jere Longman Examines Logo “Camouflaging” In Track And Field 400 hurdler Johnny Dutch spray painted his shoes rather than give free advertising while you might be surprised that Nike allows some of its athletes to use other companies’ shoes with the logos covered up. Not All Sports Created Equal: US Basketball Teams Staying On A Luxury Cruise Ship During Rio Games Along with its luxury amenities, the vessel will have a bulletproof fence around it as well as 250 police officers guarding. Olympic Village Dining Hall Could Be The Downfall For Some Athletes It’s the college dining hall all over again for some athletes as an endless supply of free junk food like McDonald’s is too hard for them to pass up. InsideTheGames: “Secretary Of State John Kerry Named As Head Of US Delegation As Barack Obama Continues To Ignore Olympics After Chicago Snub” The President hasn’t attended a major Olympic event outside the US since Chicago was eliminated in the first round of voting for the 2016 Games. Russian Petition Calls On IOC To Let Yelena Isinbayeva And Other Banned Russian Athletes Compete In Rio The petition, which has a little over 12 thousand signatures, is dwarfed by the petition to get Yulia Stepanova into Rio, which has 178 thousand. Is This A Joke? Swimming Federation Clears Two Russians Who Were Implicated In McLaren Report The IOC three-person panel could still prevent it but will they have guts? 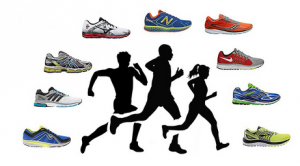 The Guardian: “Eldoret: The Kenyan Town Trying To ‘Run Away From Poverty'” While some athletes make millions on the roads, many more are just scraping by making a tough living from running. After Diamond League DQ, Margaret Wambui Will Be More Careful About Lane Violations Wambui ran a 1:56.64 PR in Monaco but was stripped of her result. Eugene City Officials Seek Historic Designation For Pre’s Rock Making it a historic landmark would protect it from unwanted changes in the future. Great News: San Jose State University Reinstating Men’s Track Program Olympic legends and alums Tommie Smith and John Carlos were on hand to help relaunch the program that was cut back in 1988. Recommended Read: A Look At The Father-Son / Coach-Son Relationship Between Matt Centrowitz Jr. And Sr. Centro Jr. says he “feared the man more than loved him” a lot of times growing up and Centro Sr. talks about his son’s “Like father, like son” tattoo. Who Are Likely To Be On Jamaica’s Relay Teams In Rio? 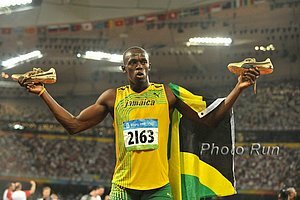 The Jamaican 4 x 100 will be without “dependable lead-off man” Nesta Carter for the first time since 2007. Shelly-Ann Fraser-Pryce Will Be Jamaica’s Flag Bearer At The Rio Opening Ceremony Fraser-Pryce will have a chance for her own three-peat as she will try to win her third consecutive Olympic 100m gold. Silas Kipruto Wins Bix 7 For The Third Time As Elkanah Kibet Is The Top American In 4th And Meb Keflezighi Gets 7th Lawi Lalang was 6th. Mary Keitany Breaks Bix 7 10-Year-Old Course Record As She Beats Caroline Chepkoech By 2 Seconds Brianne Nelson was the top American in 10th. Aisha Praught Followed An Unconventional Path To Her Olympic Dream Praught talks getting Jamaican citizenship and showing up at the Jamaican Trials just to find out no one else was entered in the steeple. Eunice Sum Isn’t Ceding Victory To Caster Semenya Just Yet After running a season’s best 1:57.47 in Monaco (where she was 3rd behind Semenya and Francine Niyonsaba), Sum says her training is going well and her goal is gold in Rio. 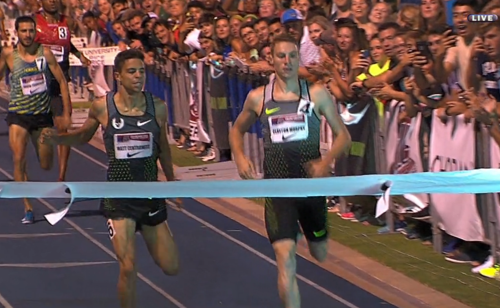 LRC Clayton Murphy Versus Centro Lives Up To The Hype, De Grasse Defeats Powell & Gives The Stare, Prandini Gets The Double Centro and Murphy both brought it in the 1,000m and Murphy was too good and got the win. Ajee Wilson won the 800. LRC Sandi Morris Breaks The American Record In The Pole Vault Video. LRC Exclusive What’s Going On With US Anti-Doping’s Investigation Of Alberto Salazar’s Nike Oregon Project? Documents And Audio From Latest Court Hearing Offer Lens Inside The Investigation USADA’s attempt to compel Dr. Jeffrey Brown to testify about his treatments of several elite athletes has been met with skepticism by a Texas judge even though seven athletes themselves have given their permission. LRC Legal Analysis: 5 Takeaways From USADA’s Attempts To Force The NOP’s Endocrinologist To Give A Deposition A lawyer gives his thoughts on the court hearing. 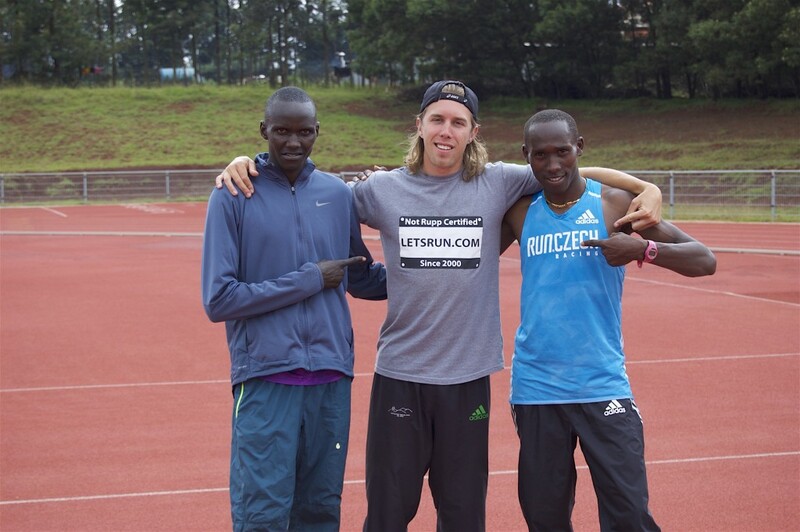 See who the kings of LetsRun.com are.